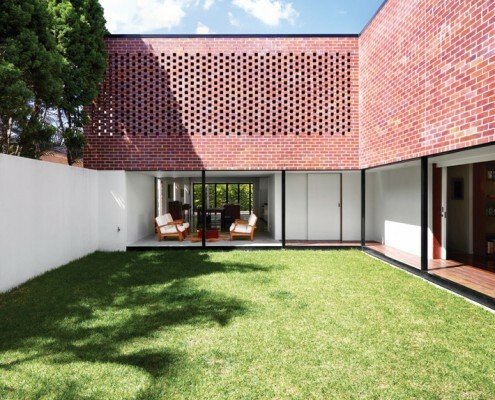 Boston Street House by James Russell Architects Boston Street House: 'Builder's Special' Tranformed Into Modern Courtyard House A Brisbane red brick spec home was showing its age. 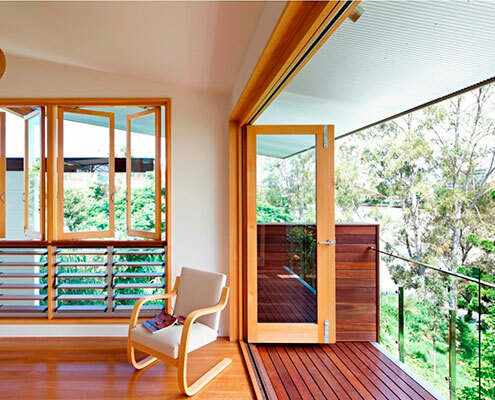 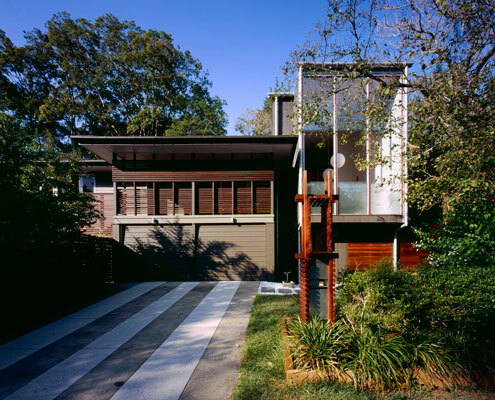 Architect James Russell cleverly transformed the dated home into a bright and modern courtyard house. 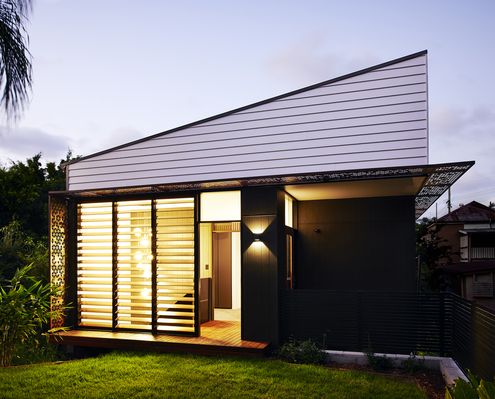 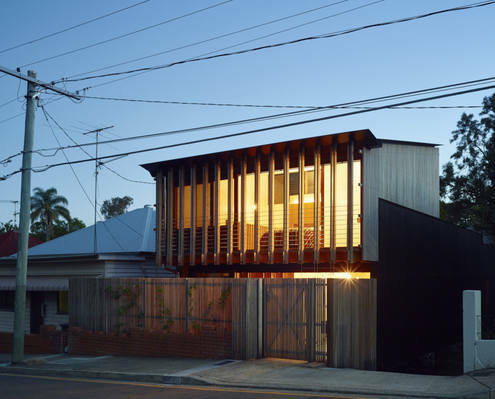 Raven Street House by James Russell Architects Raven Street House Has Curtains and Shutters Where You'd Expect Walls Raven Street House brings new meaning to 'open-plan' with curtains, shutters and dazzling colored glass where the walls should be. 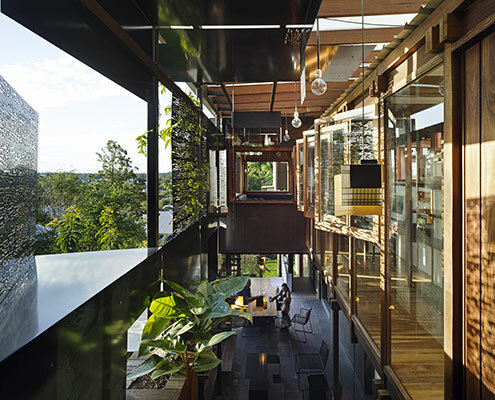 There's even an indoor tree! 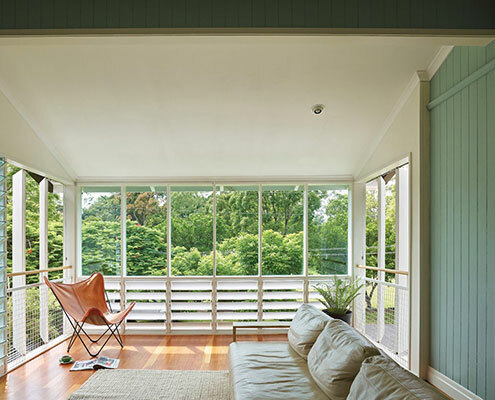 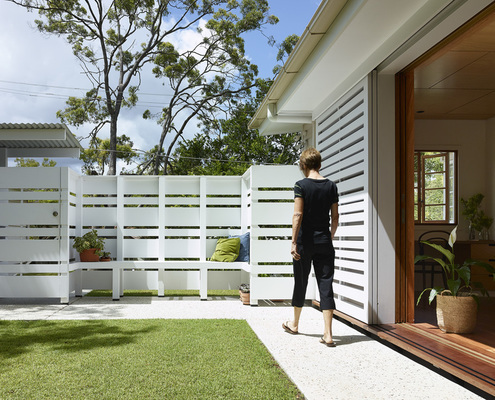 White Avenue House by James Russell Architects A Weatherboard House Extension Perfectly Suited to Brisbane's Climate James Russell Architects' distinctive tropical style shines through in this climate-sensitive weatherboard house extension. 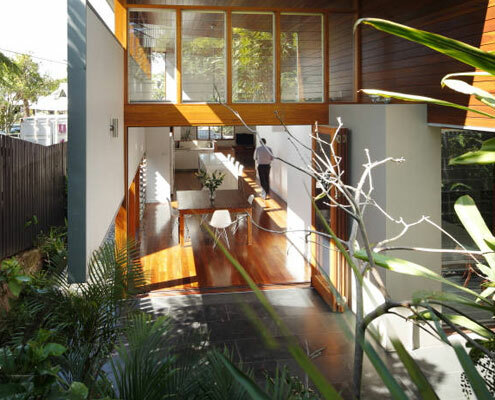 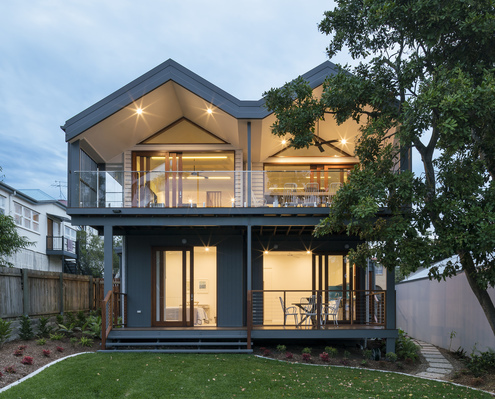 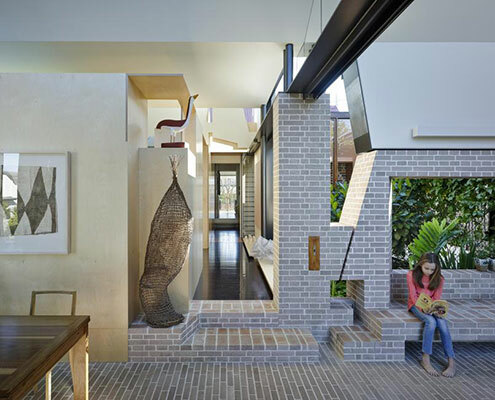 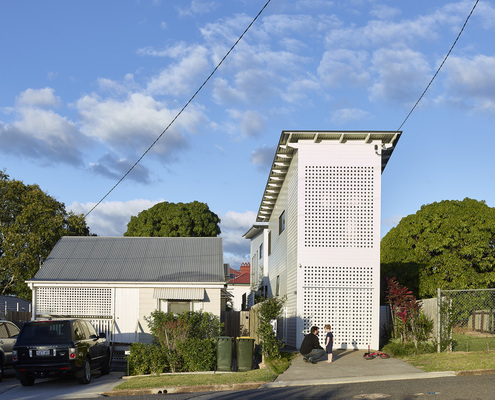 Christian Street House by James Russell Architects Christian Street House Takes Advantage of Benign Subtropical Climate Embracing the morning sun and bay breezes, Christian Street House is comfortable year-round by making the most of Brisbane's climate. 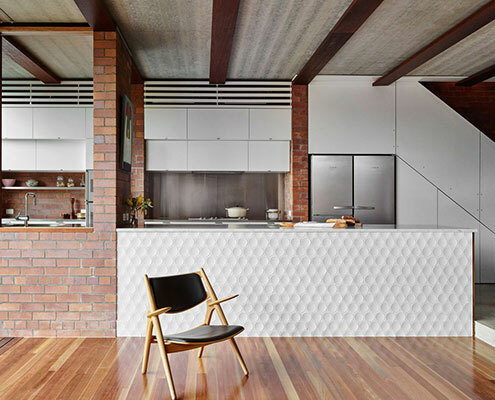 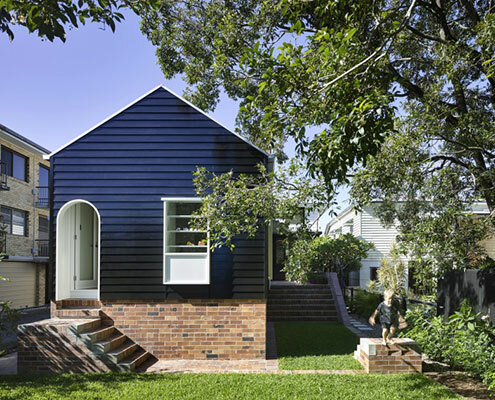 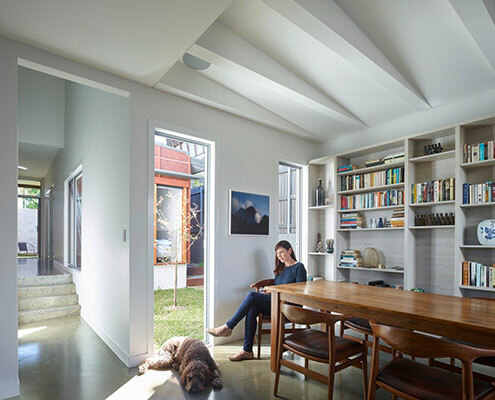 Project M by Studio 15b A Home That's Been In the Family for Generations Gets a Lift After a series of ad-hoc alterations, this long-time family home was in need of a major overhaul - it was raised, built-in and under. 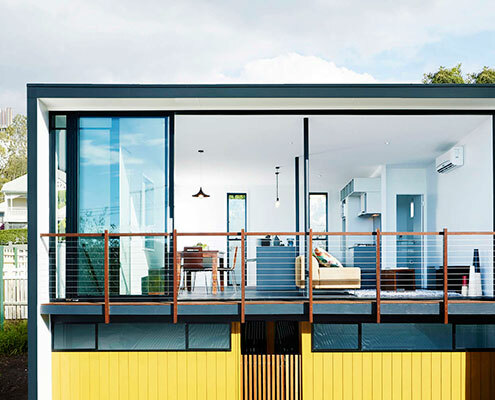 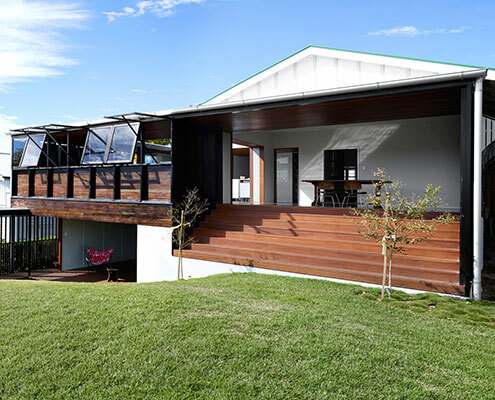 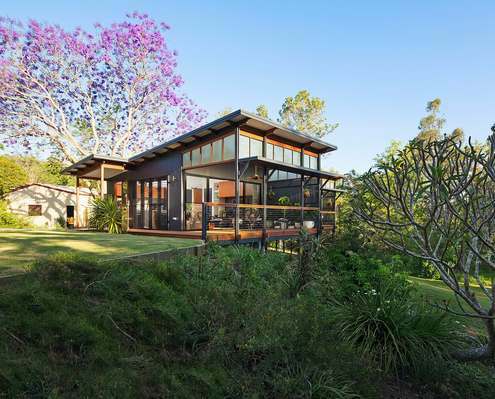 Samford Valley Small House by This Modern Tropical Home is a Granny Flat for a Hip Elderly Couple A modern retreat for an elderly couple built on the family property - the perfect spot to enjoy retirement close to family. 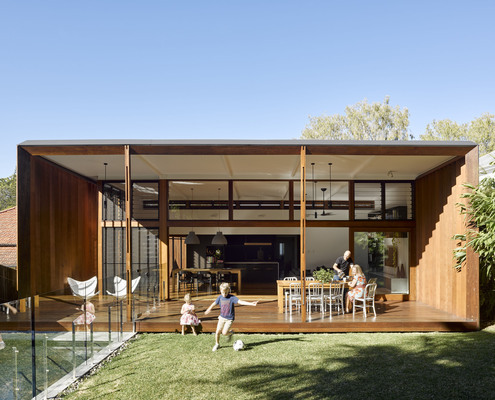 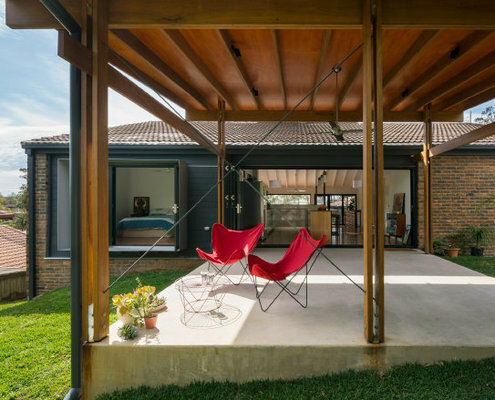 Jindalee Outlook House by Trace Studio 1970s Home Opens Up Front and Back to Connect Indoors and Outdoors A series of small additions left this home's living areas dark and detached from the garden, but Trace Studio have changed all that. 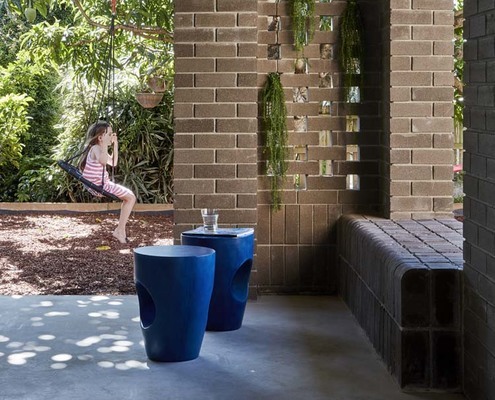 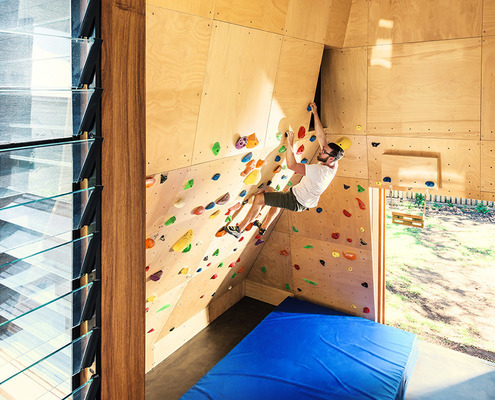 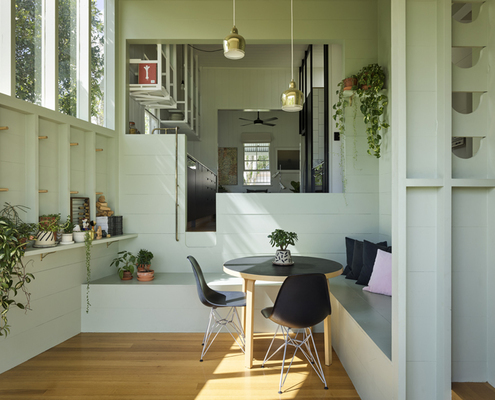 Taringa Treehouse by Phorm Architecture and Design Taringa Treehouse: An Unorthodox Addition at the Bottom of the Garden A delightfully fun, cubby-like folly at the bottom of the garden provides extra space and encourages the full use of the garden. 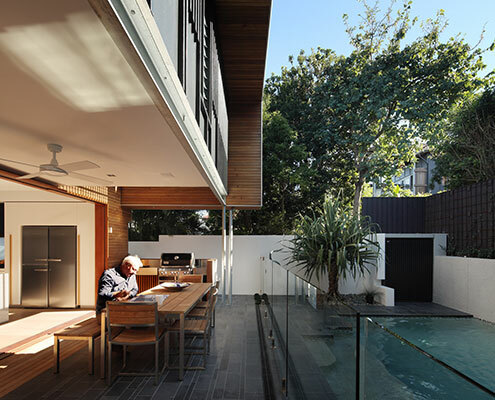 Garden View House by Stuck on Whether to Renovate or Demolish and Start Over? 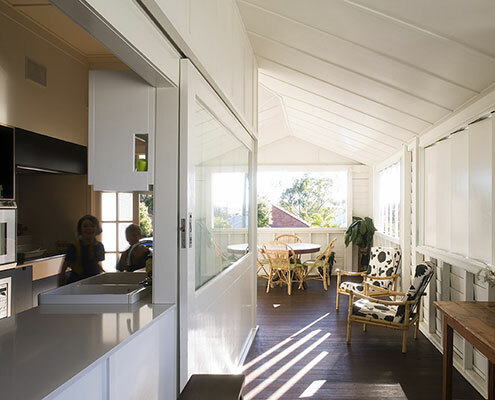 These owners decided to work with what they had rather than start afresh. 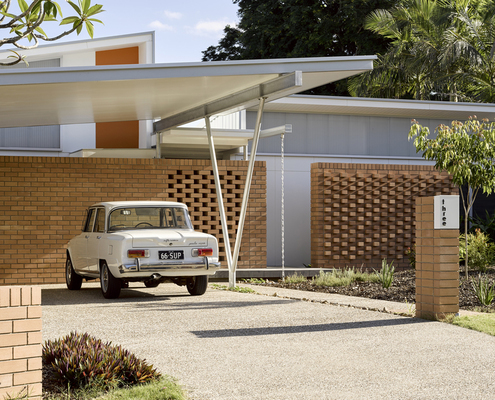 The result is a functional and character-filled home.